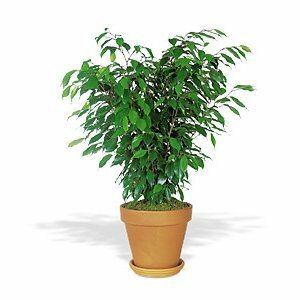 I watch the Ficus benjamina trees that are shipped from Florida to Michigan. When they arrive their glossy leaves have a very pronounced midrib. That’s the visible line right down the middle of the leaf from petiole to the tip. Over time as they endure the cloudy low light seasons of Michigan weather, that midrib begins to disappear on the foliage. Important when it lived in the Florida sun, the midrib would cause the foliage to fold up in half to conserve moisture. Not needed in Michigan the foliage indoors becomes flat trying to absorb what light it can. In addition seasonally up to half the foliage drops off the plant as a defensive mechanism. When that happens if you run for the watering to can and apply more water you simply rot the roots and speed the decline. Here too I see a correlation between the landscape and our lives. When plants are situated in a shaded or dark place they adjust. They adapt to the environment they dwell in. If the environment is wrong they either curl up and die or adapt and thrive. The metaphor on life for me is you can’t change some realities of life but you can change how you experience it. If the sun isn’t shining make your own sunshine, things will get better. Right plant, right place. When plants are respected by being properly located they thrive and find relevance.